Sergio Domingues knows his way around the cultural activities at the school. He is a member of the public speaking club, he is an actor in the drama society, he’s active in the Jesus and Me group and he still finds time to serve the school each week as a member of the First Aid squad. And to prove to those who say that busy boys don’t have time for academics wrong, he is a top five pupil in grade 12 and has full colours for academics. He is hoping, conservatively one suspects, for “five or six” distinctions at the end of the year. He actually did better than OK and was awarded a certificate for his efforts for being an excellent MC on the night. “It was interesting,” he said. “When you are a speaker you prepare very well and there is safety in that. An MC has to think on his feet, he has to listen to what is being said and link the speakers to each other, and you have to be funny at the same time. 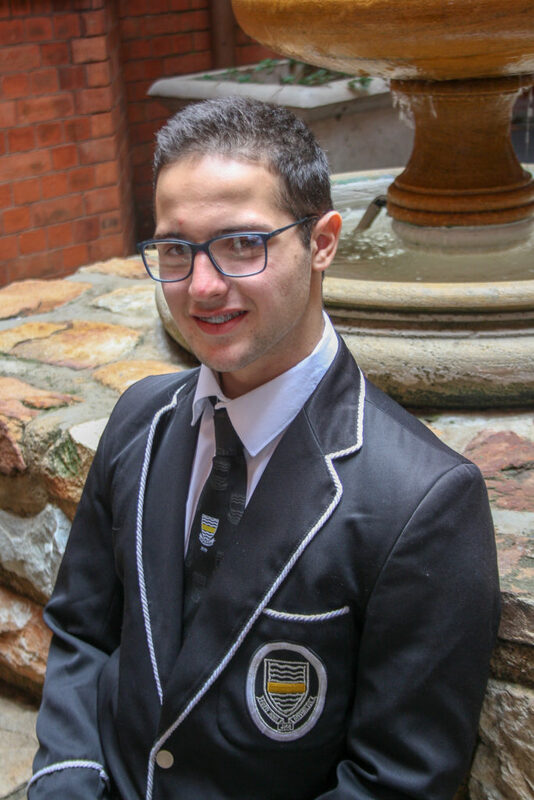 Sergio dabbled in rowing in his early years at Jeppe before he realised his interests and talents lay in the more brainy direction. “I remember in those junior years that we felt the cultural activities were being short changed at a sports-mad school like Jeppe,” he said. “In my later years I have seen a change in direction. There’s an emphasis on academics first and foremost now and we cultural types have been made to fit in and we get the recognition that’s due to us. And it’s been great for us having Sergio at the school. He is a Jeppe boy, through and through, and he is making us proud.